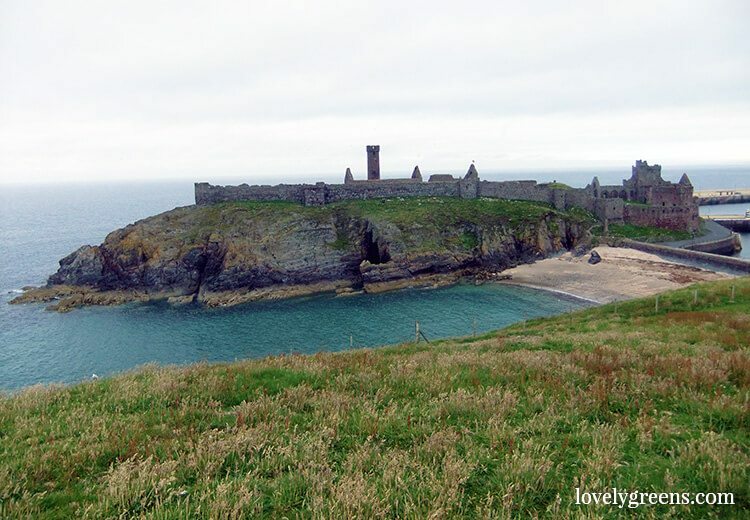 Fenella beach is a tiny crescent of sand and scallop shells that sits alongside Peel Castle. I had to drop off an order of beauty products in Peel yesterday which was great since friends were meeting on the beach. They were going for a sea swim but I and Josh simply enjoyed being in the sun and walking on the shore. It’s important to take a few minutes out just to do nothing but enjoy the scenery with a scoop of honeycomb ice cream. The sea must have been raging that morning but you wouldn’t have known it by the blue skies and gentle waves. 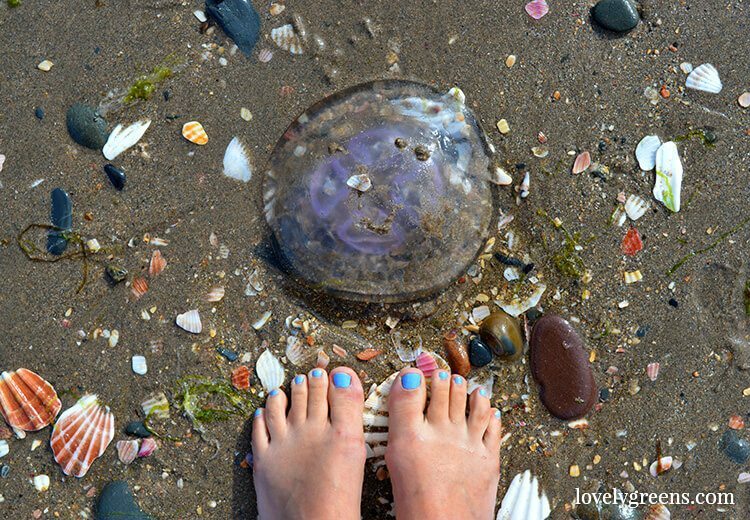 The signs were there though – dozens of large jellyfish stranded on the beach. Their clear bodies filled with a pattern of purple which was one of the only ways to easily see them. Even so I accidentally brushed against one of them with my foot. The sensation was unsettling and reminded me of a silicone breast implant. I know, lovely thought. I don’t think there was anything we could do to help them. They must have been dead already but I lifted one up with a shell to see if there was any movement. Just the force of gravity pulling it’s parts back down onto the sand. I settled it back into place for the tide to take back out into the sea. 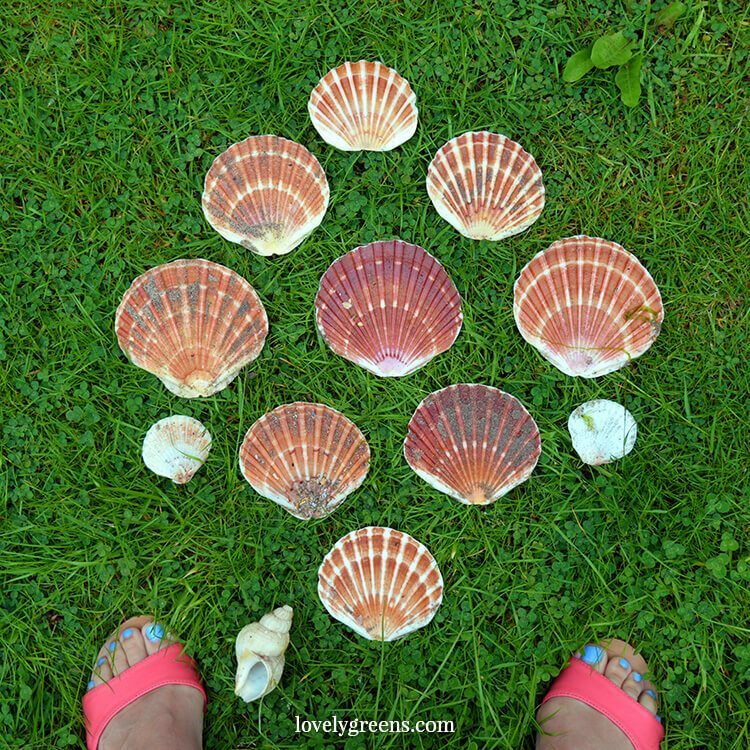 The scallop shells that were littered all across the beach got me thinking though – there must be something I could make with them. I gathered up a dozen of them and have taken them home to think about. Maybe another stepping stone? 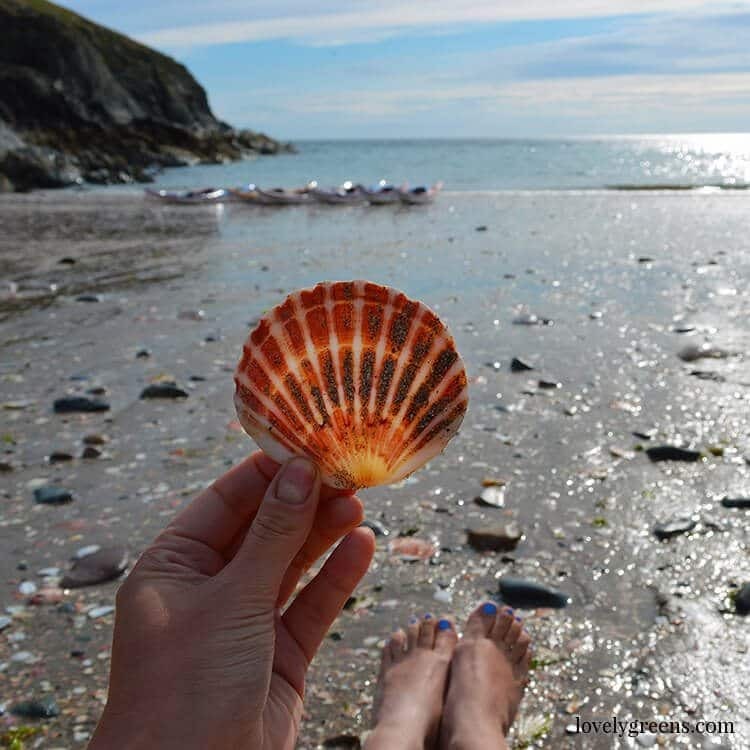 Queenies, a local Scallop, are fished off the coasts of the Isle of Man and the shells that are left after afterwards are tipped back into the sea. 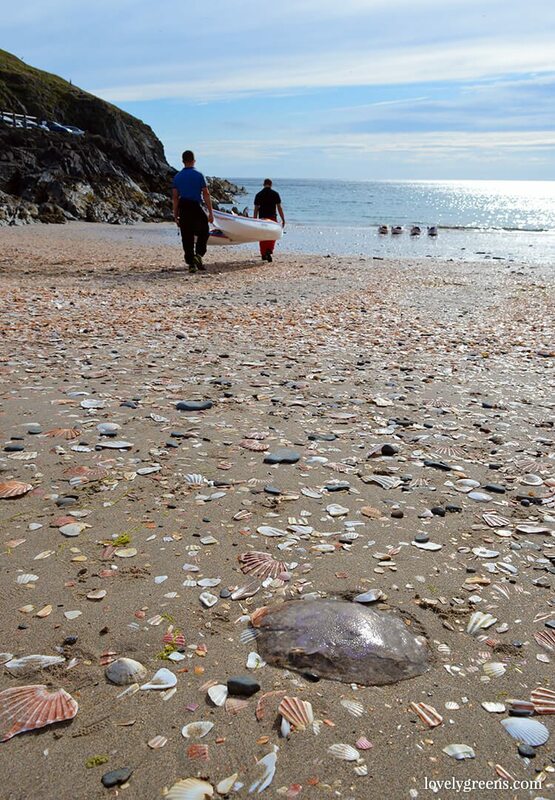 If you take a kayak south along the coast from Fenella beach you can see a little gate at the top of the cliff where the shells are dumped out. They fall down the cliff and make their way onto the beach from there. It’s with those couple of hours diversion that I’m now ready for the weekend and the projects I have planned. On the list: make a batch of Elderflower cordial and also try my hand at making Honey Beer with the honey I extracted last week. There’s so many tasty things to do this time of the year. I’m sure that with your imagination and skills you will come up with a good product using the scallop shells. I’m thinking a garden stepping stone at the moment but that may change.